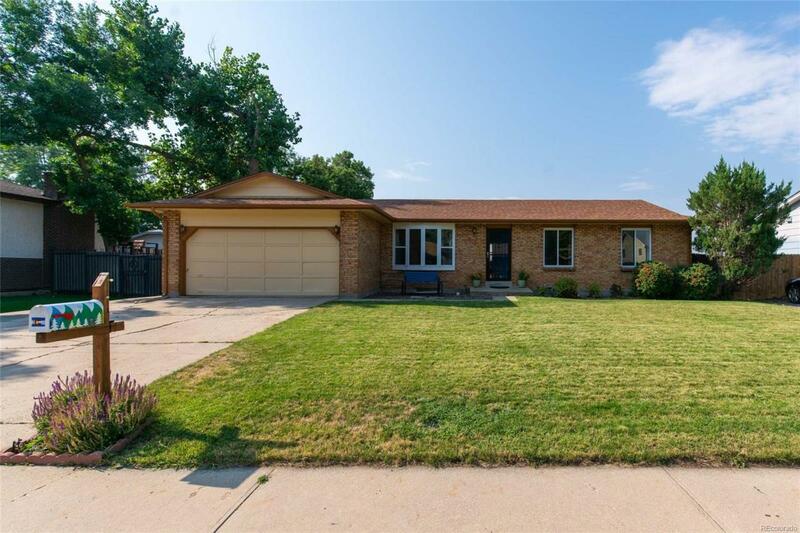 Cute Arvada brick ranch home with stunning backyard views. Great location! This charmer has hardwood floors, a true master bedroom setup, an updated kitchen with slab granite counters, brick fireplace, garden, and finished basement with bar. Great outdoor space with covered patio and separate patio off the master bedroom. Large front and back yards on sprinklers. Tons of storage--2 car garage with additional backyard storage shed! Walk to Truman Park, Ralston Creek trail, restaurants and groceries! Easy access to the Light Rail G-Line. Quiet neighborhood. This well maintained home won't last long. Offered by The Golden Group.